Two weeks ago Croydon Council once again decided to raise the tax burden on the hard working families of Croydon by the maximum of 2.99% for the council without calling a referendum. To give them the benefit of the doubt that they have not done, as to quote Sir Humphrey Appleby “pitch for as much as they think they can get away with and then think what to spend it on”, we would like to ask the council to reconsider the rise and make some savings. Our proposals would bring down the increased tax take by 10% to a 2.69% increase in council tax. This would give more money back to stretched family budgets and remove the impression of a council treating taxpayers like fools. 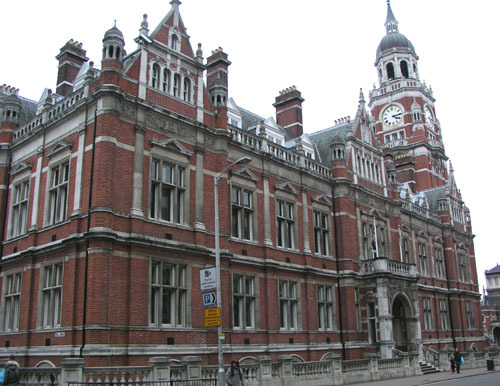 Croydon’s Councillors are amongst the highest paid in London. If we reverse last year’s pay increase to bring them closer to the norm we can save £30,429.69 a year. Does anyone seriously believe that being the senior leader in Croydon Council is harder than being Home Secretary? Harder than being Chancellor? Are most jobs harder than being a Minister of State, like say the Minister of Housing? Granted this might not be possible overnight, but by reducing the Chief Executive’s salary to that of a Cabinet Member (£134K) and all other Directors to that of a Minister of State (£98K) we can save a whopping £213,129 a year. We would like to leave more money in people’s pockets to make their own entertainment choices. Your weekend is not best planned by the council. The Culture Growth Fund in the past year has funded a Boxpark priced above disposable income of most Croydon families, a Croydon Pride photo opportunity for local politicians that could have been funded by commercial sponsors, the Drunken Chorus Arts Collective, and somehow found £10,000 for someone to take a poo on stage. Halving this budget, and funding the truly unique and exceptional arts in the borough, not just those for the upper middle class or that take a poo, we can save £114,500 annually. The total saving here is £646,058.69. £127K more that we proposed, the council could even pay down some debt. All of these savings have been achieved without impacting a single front line service. If these savings weren’t enough maybe the council could have saved £11 million by delivering the Fairfield Halls on budget http://www.eastlondonlines.co.uk/2019/03/outrage-as-council-exceeds-fairfield-halls-refurbishment-budget-by-11m/ or £8 million but keeping to the budget for New Addington Leisure Centre https://www.shakinghands.co.uk/news/20170720_new-addington-leisure-centre/. Of Course had Croydon’s highly paid Councillors or Directors brought either project in on budget, Council Tax could have gone down this year.